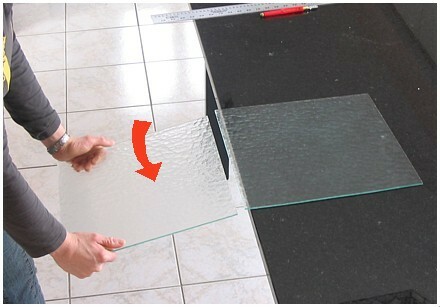 We tend to associate breaking glass with negative events. The baseball through a window, the precious champagne glass in smithereens on the floor, dangerous shards. 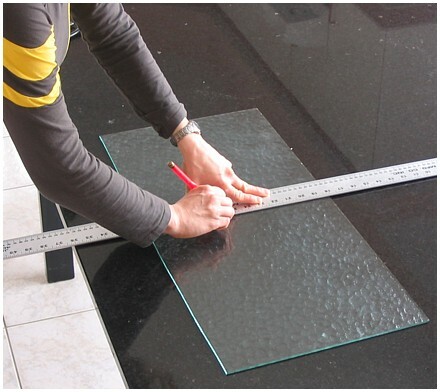 While it is recommended, for safety’s sake, to always treat glass with respect, breaking glass in a controlled manner is a pleasurable experience. All you need is to dare to try. It may look intimidating at first, but it is in fact quite easy. 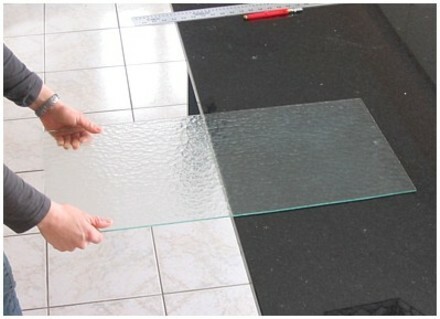 There are many ways to cut glass. 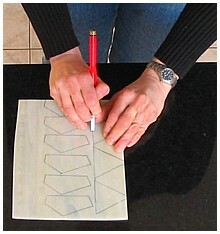 The techniques explained here are few and simple, yet, they are the very techniques that will later prove invaluable in cutting the most challenging glass with ease. 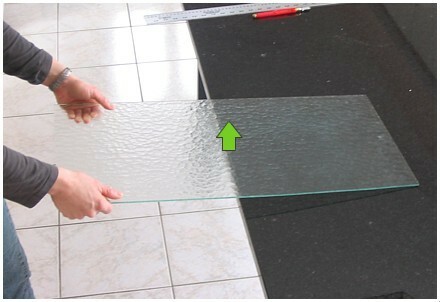 Practicing on smooth-textured glass, you will know that you have applied enough pressure when you hear a nice clear “zzzzzip!” as you score. Too little pressure and the break will not follow the score line, and too much will cause unnecessary wear and tear on your cutter as well as your wrist and elbow.